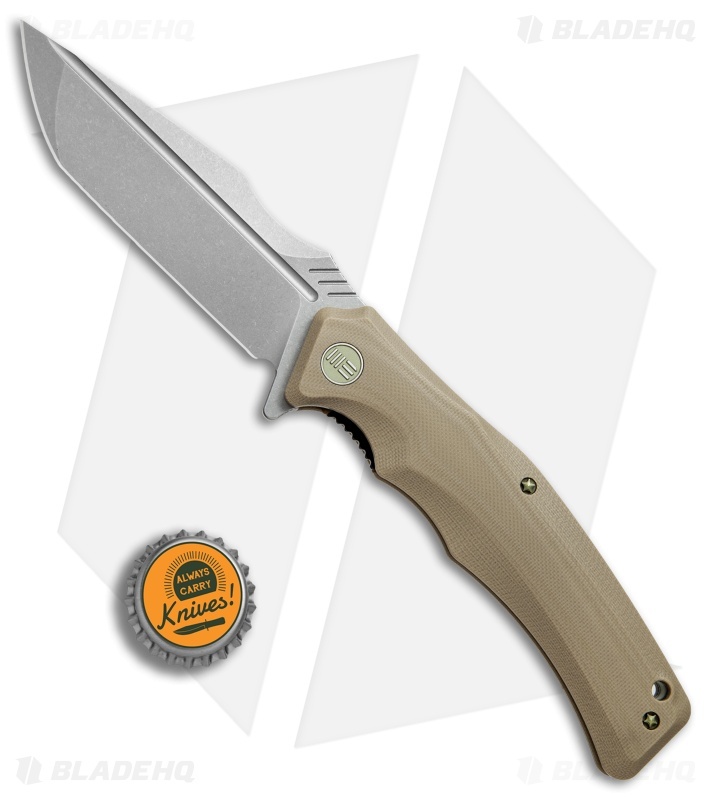 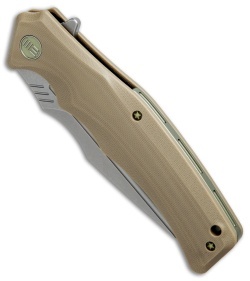 The 709D Thraex folding knife sports a tan G-10 handle and a stonewashed blade. 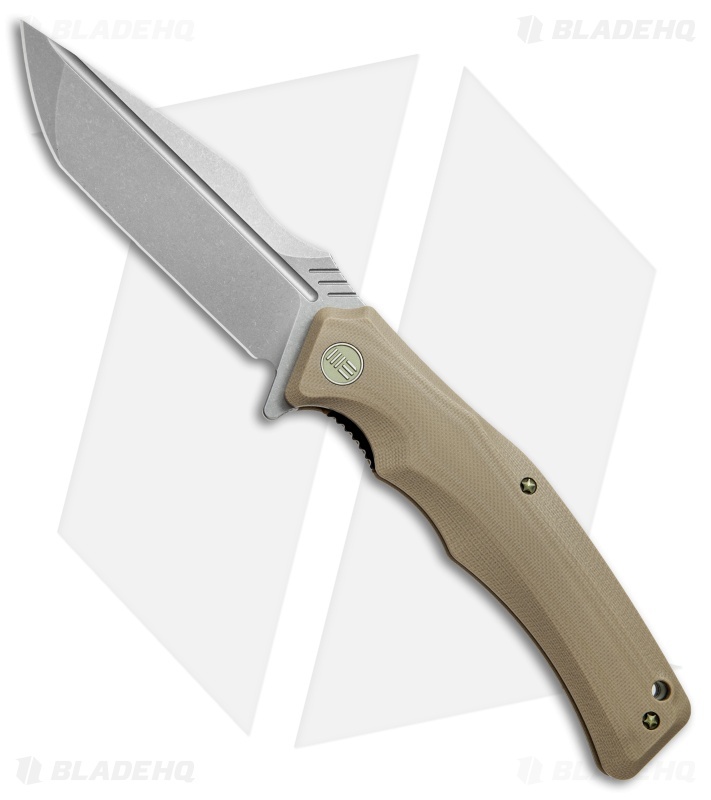 WE Knife Co's Thraex model is equipped with an ergonomic G-10 handle and a modified tanto blade. This affordable folder is built for comfortable everyday carry, and is sure to tackle any cutting task thrown your way. Its resilient D2 tool steel blade rides on a ball bearing pivot for easy operation and smooth gliding flipper action. 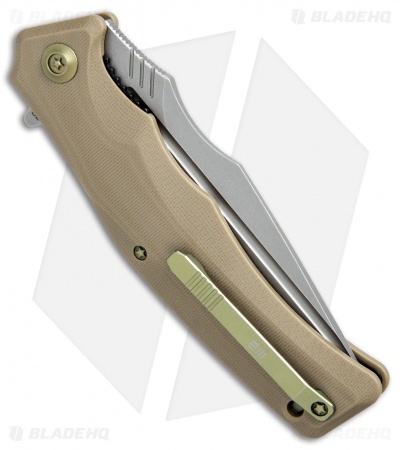 The handle is fitted with a bronzed stainless steel backspacer and a matching titanium pocket clip. Contoured G-10 handle provides a comfortable and secure grip. D2 tool steel offers high durability and edge retention. Titanium pocket clip for comfortable everyday carry.